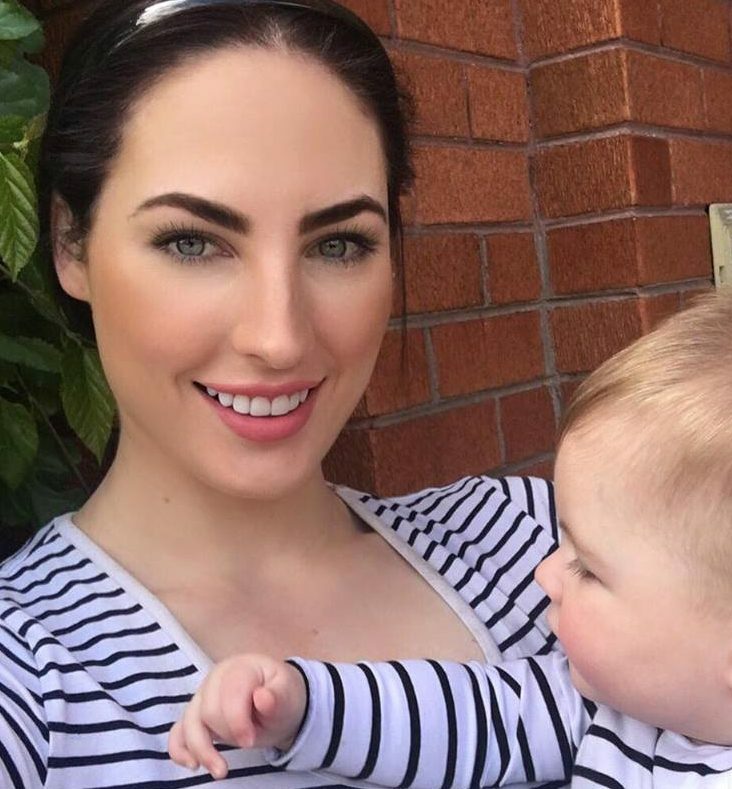 In the last year I’ve started to realise how important it is to look after my skin as I’m getting older and especially after having my first baby, the signs of ageing quickly start to creep in on a sleep deprived mumma. I go to Love Those Lashes in Hawthorn for my lash extensions and my waxing, but this time I decided to give their facial and microdermabrasion a whirl. I have had these treatments at a few different places so i’ve got a good baseline to compare to. Rachel is a lovely and gentle therapist with a warm touch and took the time to make sure she found the right head for me for the microdermabrasion. I’ve had micro’s before where it felt like my face was being rubbed hard with sandpaper. Yes it should feel somewhat suctioned and gritty, however not uncomfortable or painful. Another difference I noticed with Rach is that she offered me suncscreen at the end of the micro. This is something that hasn’t been offered to me before and I was very interested to know that your skin is more sensitive after a micro and more prone to sun damage. So I said yes please lather me up! Heres a quick snapshot video of what I had done and the details below of the process step by step with products used. 1st with Pomegranate cleanser: Includes a wide variety of plant and herbal extracts to thoroughly cleanse the skin and remove excess oil without drying. Can be used on all skin types. 2nd with Multi-fruit cleanser: A gentle but effective soap free cleanser which helps remove dead skin cells, cellular debris and makeup. Has active ingredients of: Vitamin C, Natural fruit acids and pine bark extract. Can be used on all skin types. EmerginC Micro scrub: Gently removes dead skin cells and rough skin ,to help reveal a brighter, even-toned complexion. Exfoliation is a must in your skin routine as old skin cells begin to pile up on the surface of the skin, leaving your complexion looking dull, rough and dry. This can result in excess oil and clogged pores – better known as acne. Hot towels used to remove. Microdermabrasion is a non-invasive treatment that uses a diamond exfoliation surface and a ‘vacuuming-like’ suction to help remove the superficial layer (top layer) of your dead skin cells. Microdermabrasion also encourages the production of a new underlying layer of skin cells with higher levels of collagen and elastin which leaves your skin with a healthy and balanced complexion.Good for those who have: fine lines, wrinkles, acne, sun spots, pigmentation and clogged pores. EmerginC Earth Ultra Hydrating Mask: Left on for 10-15 minutes. An ultra-hydrating mask to help improve skin hydration, soothe after micro, prevent dehydration. Hot Towels used to remove. EmerginC Peach toner – soothes, tones and refreshes. EmerginC Hyper-vitalizer Face Cream: Fights free-radical damage, improves tone and texture of the skin. Perfect for sensitive skin. EmerginC Hyper-vitalizer Eye Cream: Super antioxidant cream which fights the signs of aging skin and can help lighten up the eye area. O Cosmetics Mineral PRO SPF 30+ – It’s super important to make sure you are wearing sunscreen daily but especially after a micro as your skin becomes more sensitive to UV rays and can be more prone to burn. Avoid staying in the sun excessively for at least 7 days after your micro treatment as it can slow down your recovery time. Love Those Lashes have stores in both Paddington NSW and Hawthorn VIC.